Forms are a great way to keep your business organized and looking professional. They can be used for invoices, work orders, receipts, vouchers, quotations and much more. 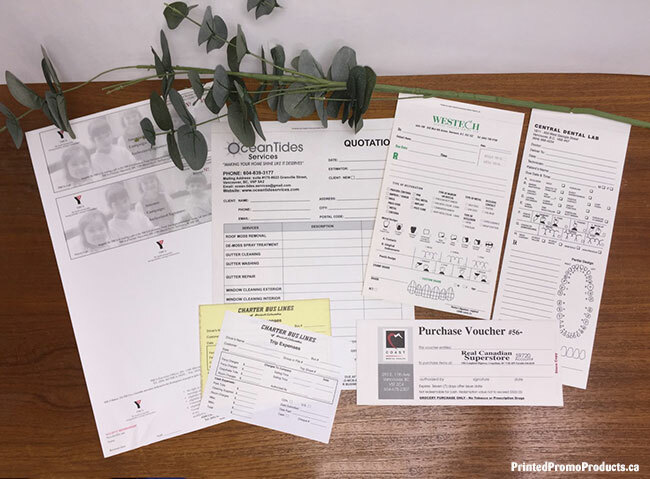 Options for forms include single sheet laser forms and 2, 3, or 4 multipart forms printed on laser paper or carbonless paper (also known as NCR paper). 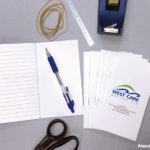 Forms can be numbered, perforated, drilled with holes and we also make custom receipt books. Popular sizes include 8 1/2″ x 3 1/2″ • 8 1/2″ x 5 1/2″ • 8 1/2″ x 7″ • 8 1/2″ x 11″ • 8 1/2″ x 14″. Custom sizes also available. If you’re interested in ordering custom business forms, please contact us for a quotation. Visit our Paper Products page to see what other business marketing products we make. Production time is 5 to 7 working days. Time will vary for large orders. 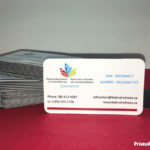 We custom print all your business forms on site at our Vancouver, BC location. Full colour orders will be converted to CMYK for digital printing and offset printing. Metallic colours and PMS colour match orders will be offset printed and is based on the Pantone® Matching System. Pantone ink numbers need to be indicated in your supplied artwork. For digital printed orders, all artwork is converted to CMYK so there can be some colour variation when compared to Pantone® colours. RGB artwork will be converted to CMYK. 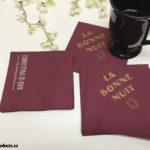 Visit our notepads, coasters, stickers and fridge magnets pages. Also, take a look at our Idea Guide, which provides popular promotional products for various industries and events.